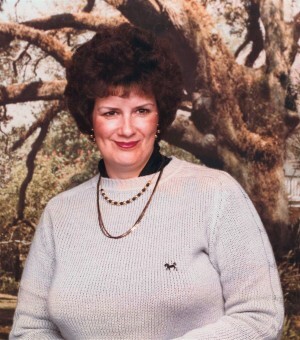 Mary Helen Sellers Lee, 73, passed away Thursday, November 15, 2018 surrounded by members of her family at Thorne Assisted Living in Lake View. Born December 26, 1944 in Bennettsville, SC, she was a daughter of the late Robert Lee and Lollie Virginia Beverly Sellers. She was a member of Brutons Fork Baptist Church and was a Home Health Nurse. She enjoyed making jewelry, crafts, crocheting, and taking care of other people. She was preceded in death by her parents listed above; son, Russell Eugene Lee; daughter, Virginia Ann Eastman. She is survived by her son, Everett Lee, Jr. of VA; Robin Lee of VA; sisters, Ruth McArthur of Darlington and Dianne Floyd of Bennettsville; 3 grandchildren. A funeral service will be held at 2:00 p.m. Sunday, November 18, 2018 at Burroughs Funeral Home, with burial to follow in McCall Cemetery. Visitation will be from 1 until 2 p.m. just prior to the service at the funeral home. Memorials may be made to Brutons Fork Baptist Church, 1020 Brutons Fork Church Rd., Bennettsville, SC 29512. Burroughs Funeral Home is honored to assist the Lee Family.